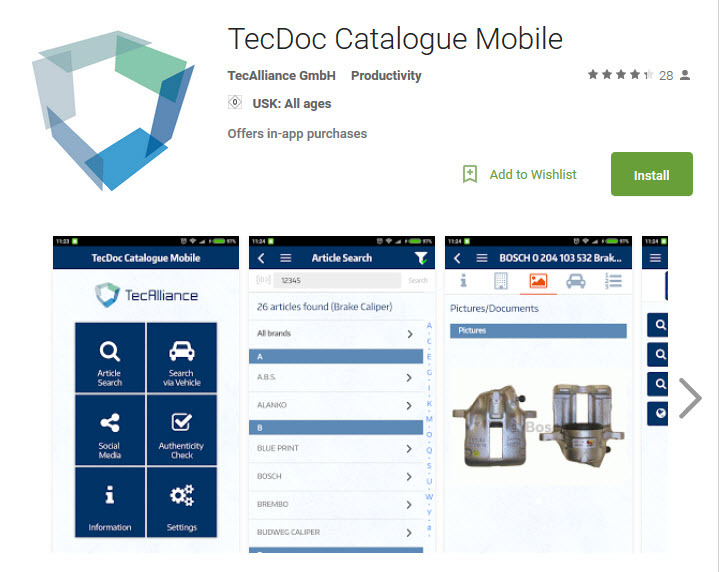 The TecDoc Catalogue Mobile application enables fast and reliable identification of spare parts via iPad, iPhone and Android mobile devices. The app is based on an extensive TecDoc database, which comprises the original manufacturer data of more than 650 spare parts brands, millions of product descriptions and product images. TecDoc Catalogue Mobile was developed for workshops, retailers and vehicle owners, is available in 13 languages and can be used around the world. The correct spare parts are identified quickly and intuitively thanks to numerous search functions as well as an easy-to-use user interface. TecDoc Catalogue Mobile is available via Google Play and iTunes. The app’s full version will be available to download for free as part of a promotional campaign by the end of 2016.